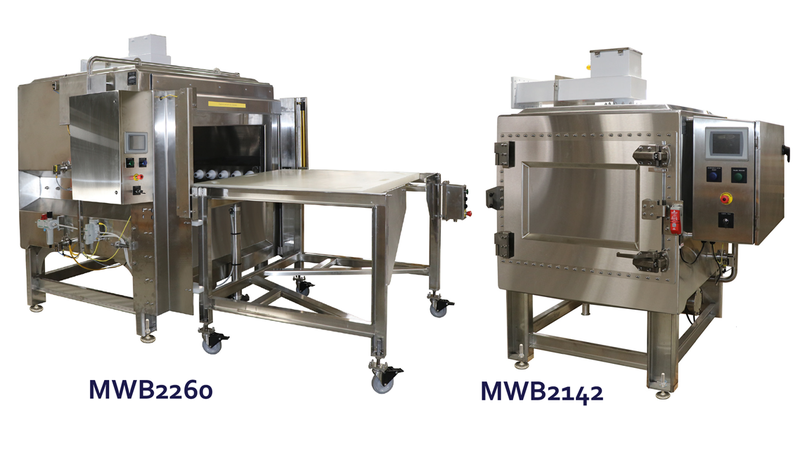 AMTek’s batch microwave systems are perfect for small, medium, or large scale operations. 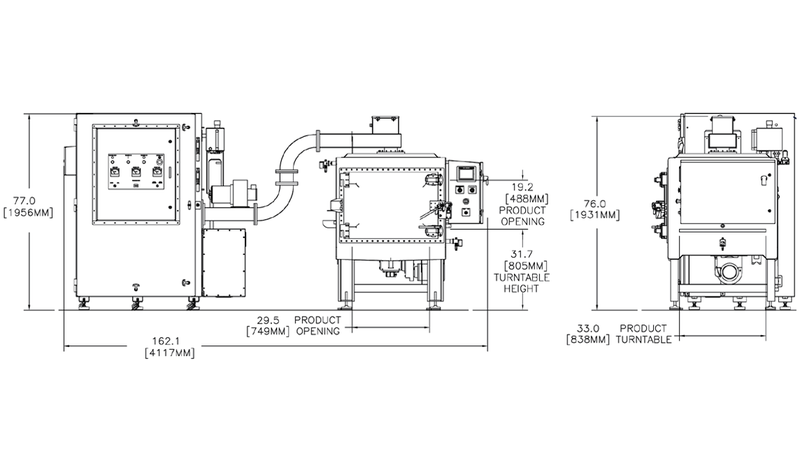 They offer the speed, power, efficiency, and potential for customization that a continuous belt system offers, without the larger equipment footprint and price tag. 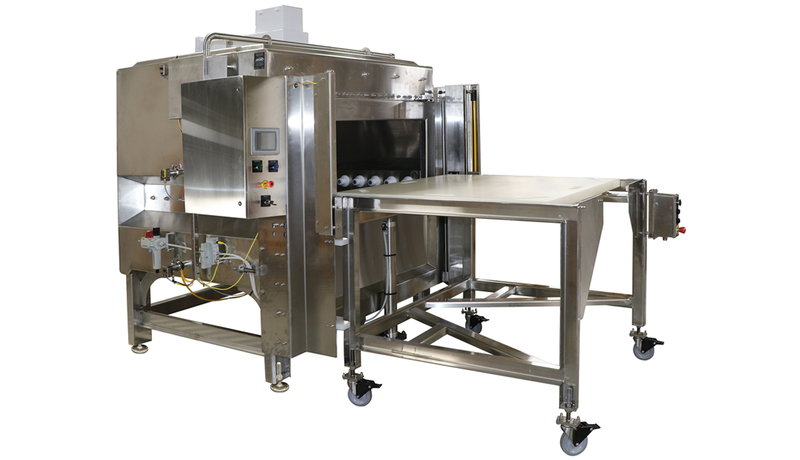 When used for tempering, a batch system can provide the opportunity to improve the quality of your product and maximize yields by minimizing drip loss. 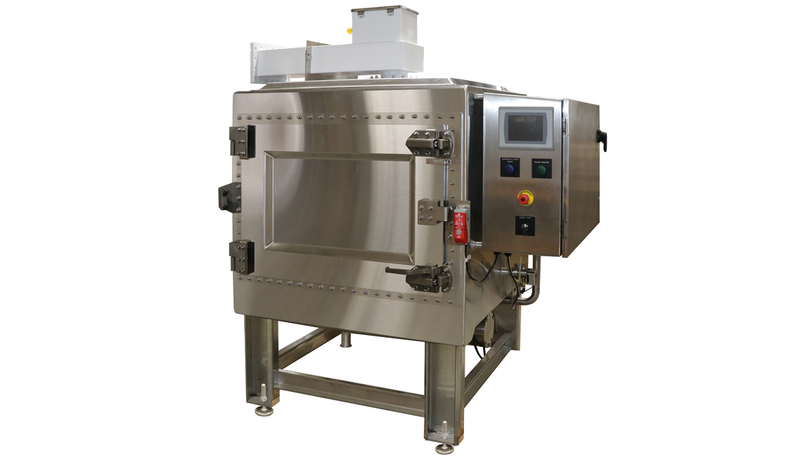 Aside from tempering, AMTek’s batch systems are being used in a diverse range of applications, from cooking and drying, to high temperature melting and glue setting. The control software is customizable to your process to produce precise results every time. 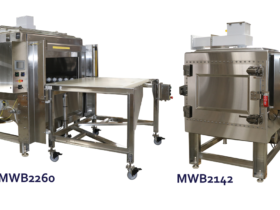 AMTek takes your installation requirements and provides a complete system layout, detailing oven location, utility requirements, and location within your facility. 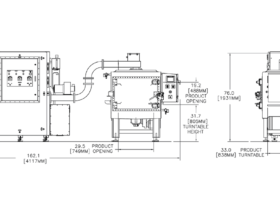 We can integrate optional add-on equipment into your design and layout as well. We know how important it is for your system to be up and running at all times. For that very reason, AMTek carries a full line of spare parts for all your microwave system needs. You will find that we are determined to provide you with the parts you need, when you need them. 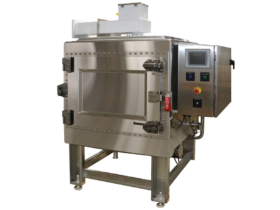 The entire oven is constructed of stainless steel and rated for full washdown. 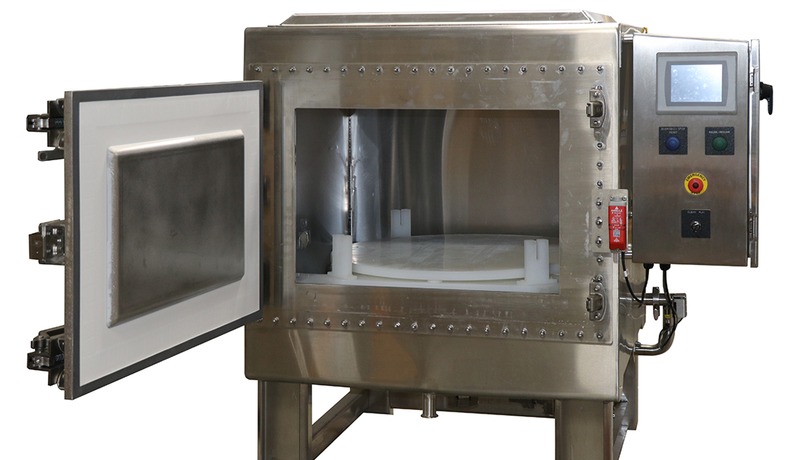 Interlocking access doors on the transmitters and process ovens meet applicable government safety standards for operation. 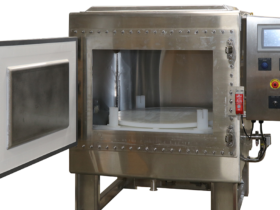 AMTek provides all of the resources needed to support industrial microwave processing equipment and systems. 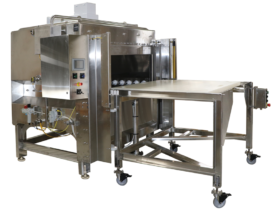 We provide the food processing industry with specialized technical knowledge and services.